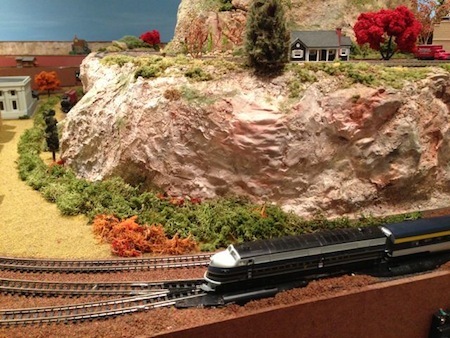 WELCOME to the 32nd issue of BYMRr-Zine - a free quarterly newsletter published by Building Your Model Railroad, devoted to providing breaking news and tips to model railroaders of all ages and all scales in a quick and easy-to-read format. Resources are always credited where appropriate. Thank you for subscribing. We have lots of new tips and tricks in this issue to add to your model railroading pleasure. For a variety of reasons, the BYMRr-Zine newsletter will now be published quarterly. We will continue to provide many tips, tricks and techniques in each issue that will help you with building your model railroad. We can even provide special editions in between the regular issues as new topics and updates become available. If there are any particular subjects that you would like to see in the newsletter, please let us know at gjwarth@mac.com or gjwarth@building-your-model-railroad.com. Thank you for subscribing and for telling your friends about us. Whenever I travel anywhere for any reason, I always try to make it a point to visit whatever train stations, museums or model railroad layouts in the area that might be open to the public. Doing so, I have learned a lot about trains, railroads, new modeling techniques and the history of the United States over the years. 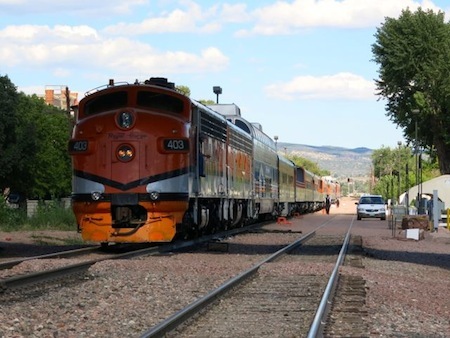 I recently had the wonderful opportunity to visit the Colorado Railroad Museum located in Golden, CO. Bob Richardson originally developed this showpiece in the 1940’s, in order to preserve Colorado’s railroad history, which, of course has a direct relationship with the history of the state itself. 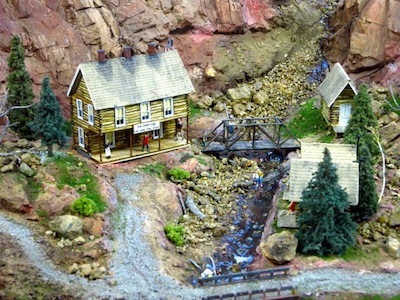 The main features of the museum include Cornelius W. Hauck Roundhouse and 74’ turntable, which serve as the home for many retired locomotives and rolling stock that helped in the development of Colorado and which now serve as great inspiration for visitors of all ages and types, not to mention model railroaders. The turntable was built in 1900 in Chicago and served the Chicago, Burlington and Quincy Railroad at the end of one of its branch lines in Kansas. Two individuals can manually rotate cars and locomotives on the turntable because of a sophisticated center-bearing and counterbalance system! 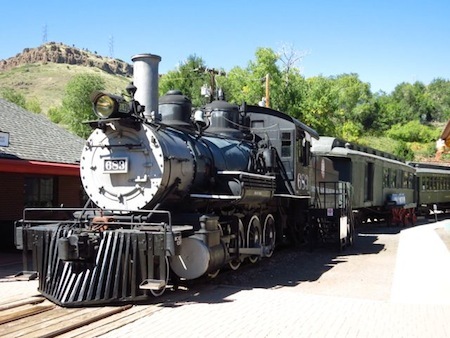 Several locomotives were on display including the Denver & Rio Grande Western, No.346, built in 1881, which is the oldest operating steam locomotive in Colorado. 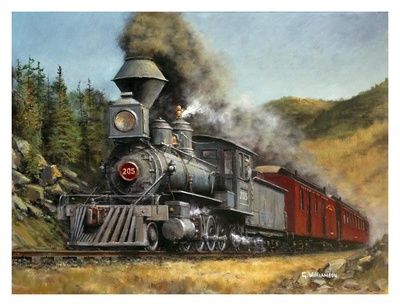 Other featured engines include the Denver Leadville & Gunnison, No. 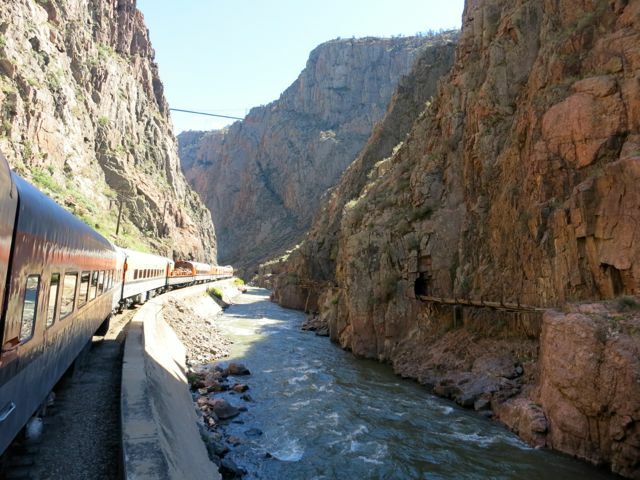 191, Rio Grande Southern, No. 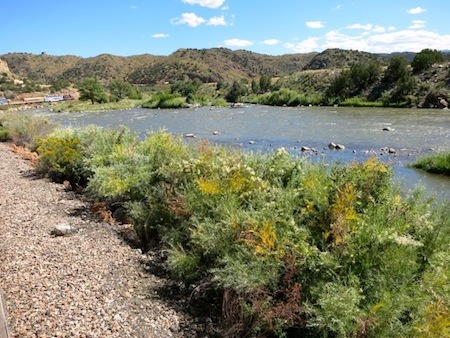 20, Rio Grande Southern Galloping Goose, a Shay locomotive, snow plows and two diesel F units from the Denver and Rio Grande Western. Multiple retired passenger cars, freight cars and cabooses were also available for viewing and boarding. 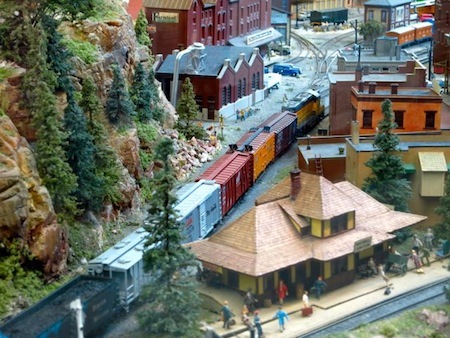 The museum also contains a grand model railroad exhibit built by the Denver Garden Railway Society in G scale and another extensive, highly detailed layout by the Denver HO Model Railroad Club. These alone were well worth the trip and the admission price. Overall, the museum is a great place to visit for the whole family. They even had a full-sized Thomas the Tank locomotive for the smaller railroaders to enjoy!